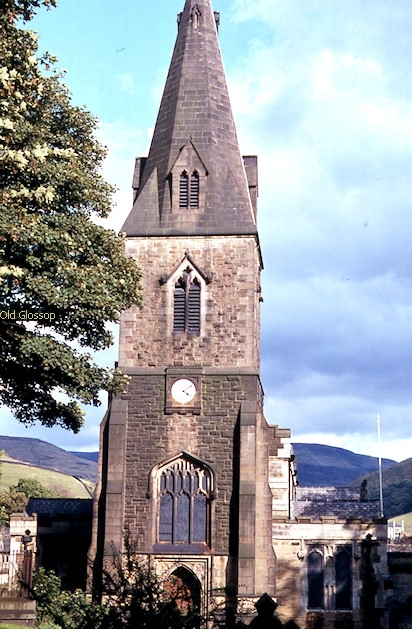 Glossop Parish Church ( All Saints) , Old Glossop. 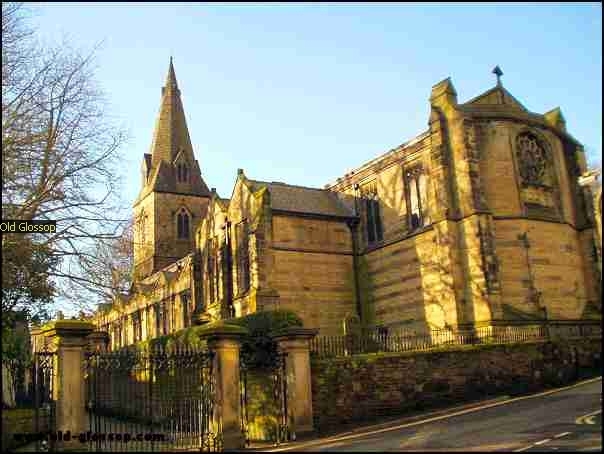 There have been several church buildings on this site, probably since shortly after the Norman conquest. 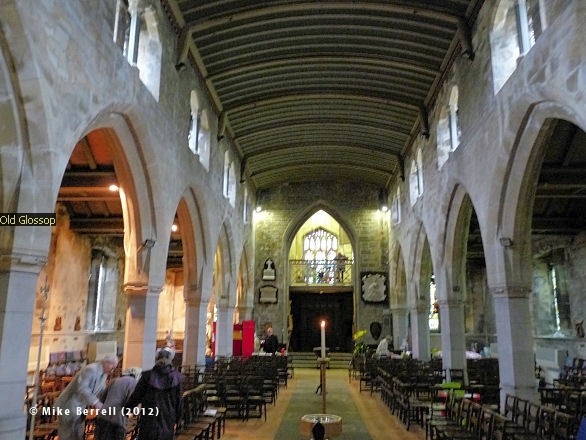 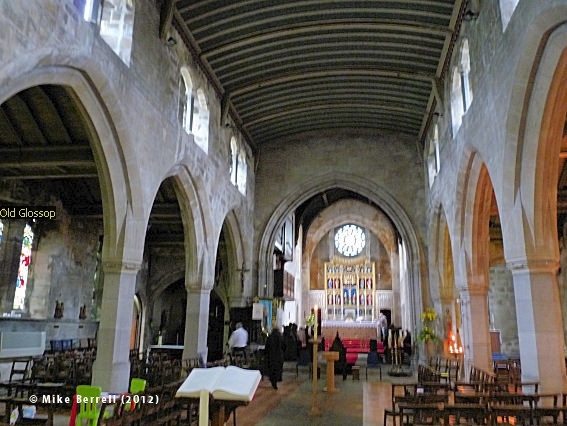 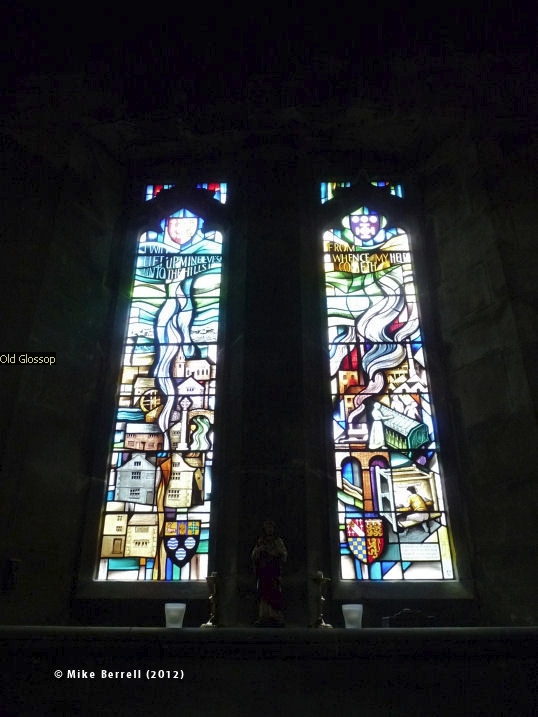 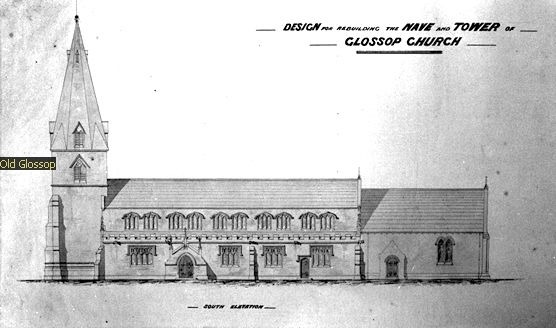 The present structure is the result of a rebuilding programme which began in 1831 to replace a late mediaeval church. 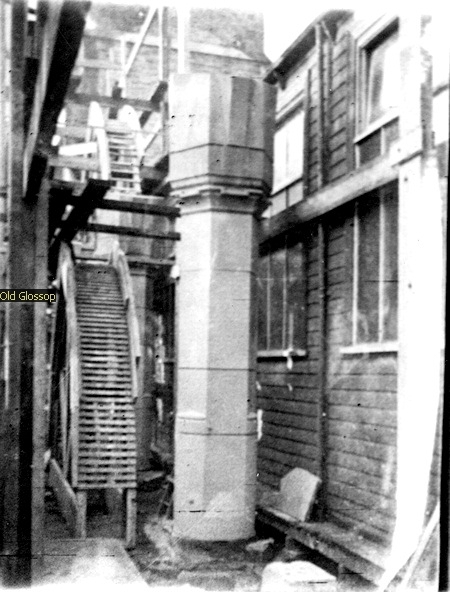 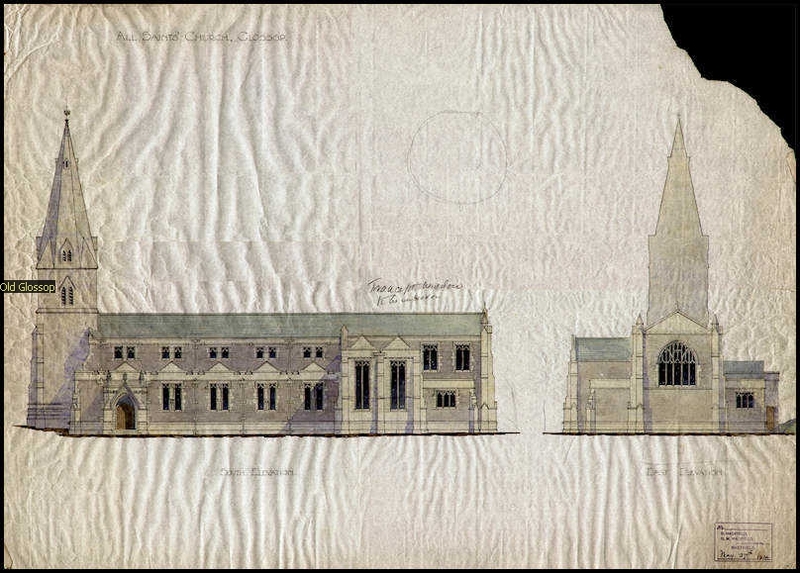 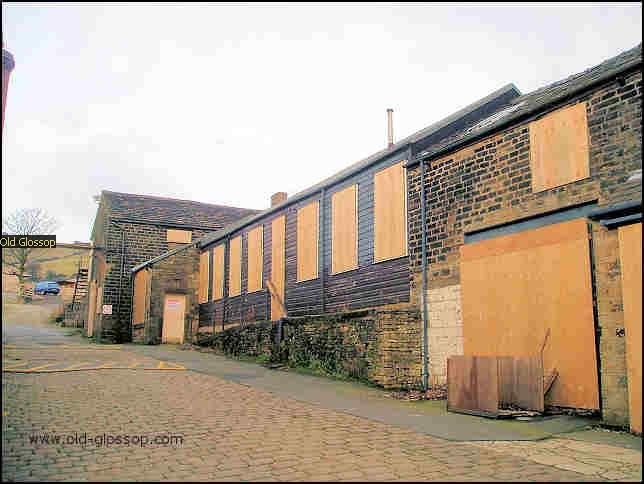 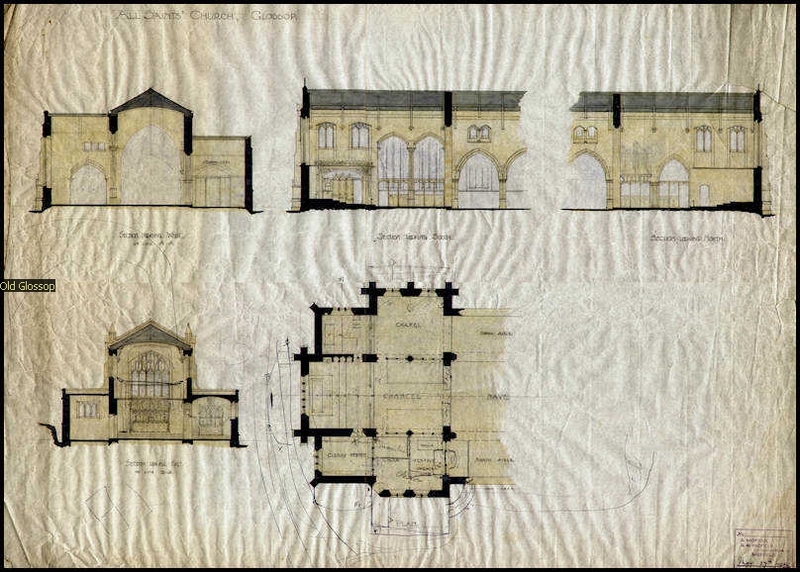 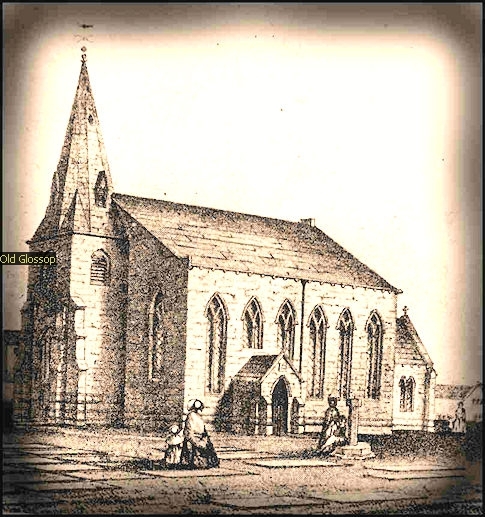 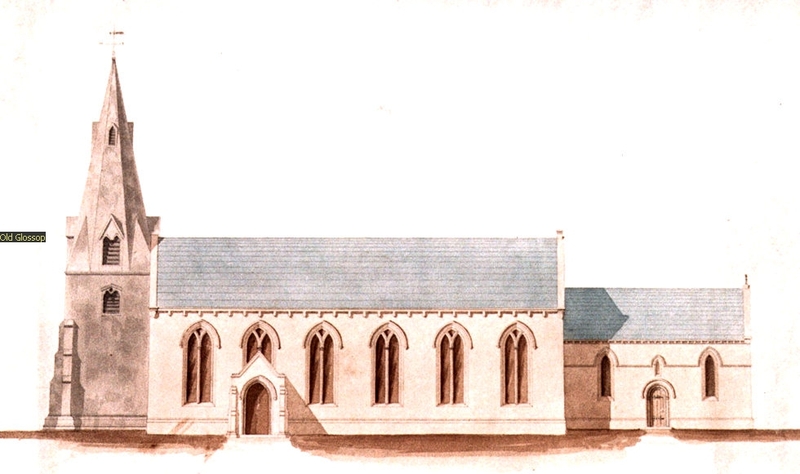 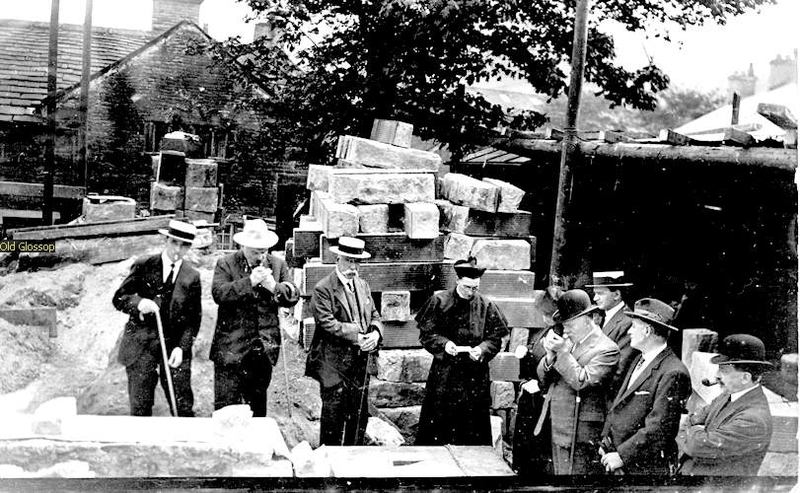 The first stage in the rebuilding was in 1831 to replace the nave using the old buildings as quarry. 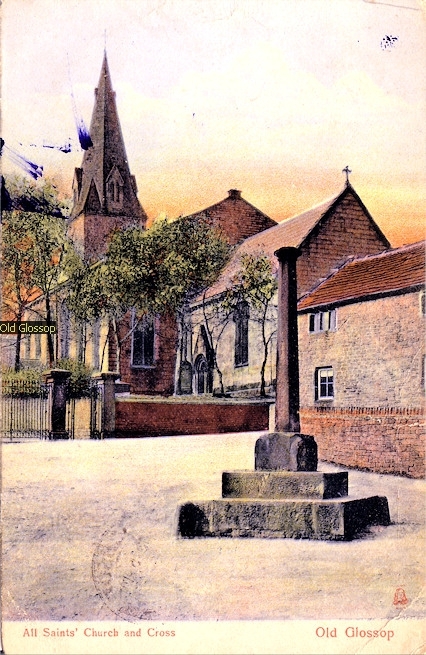 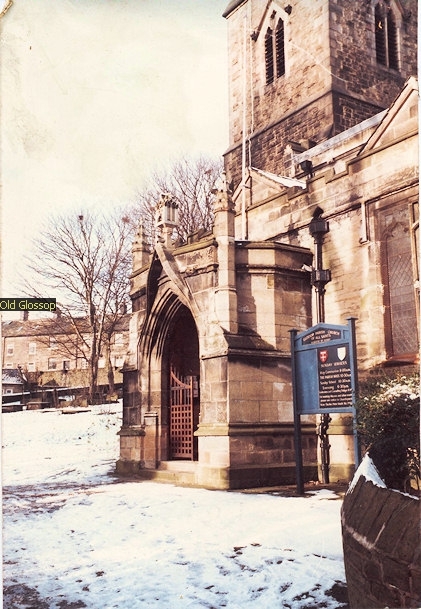 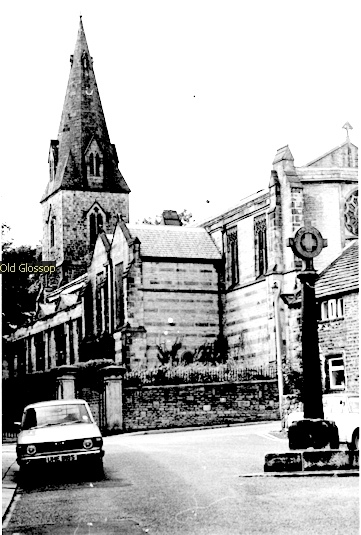 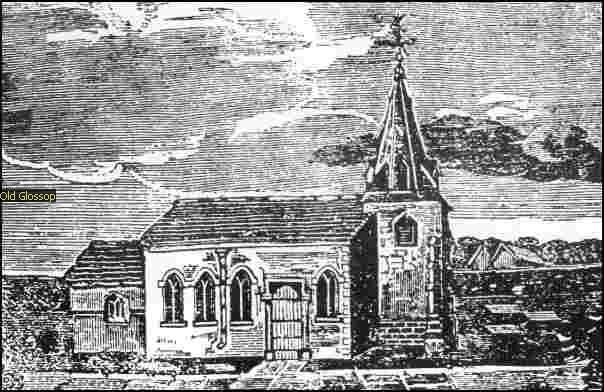 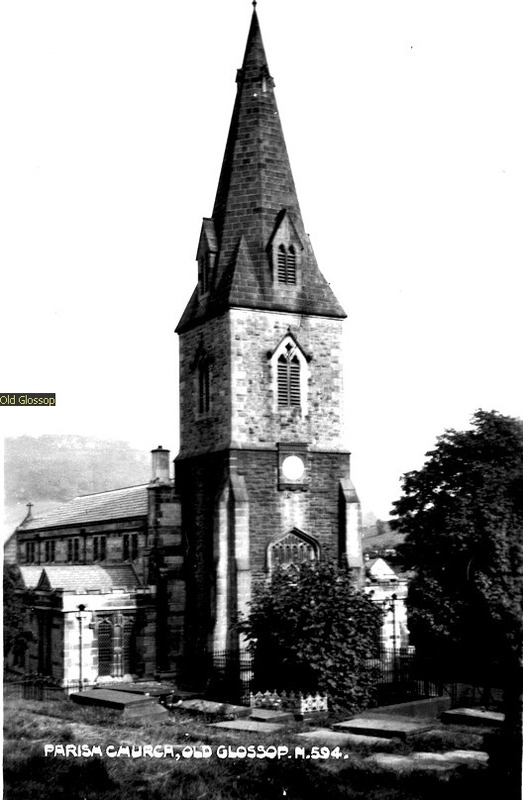 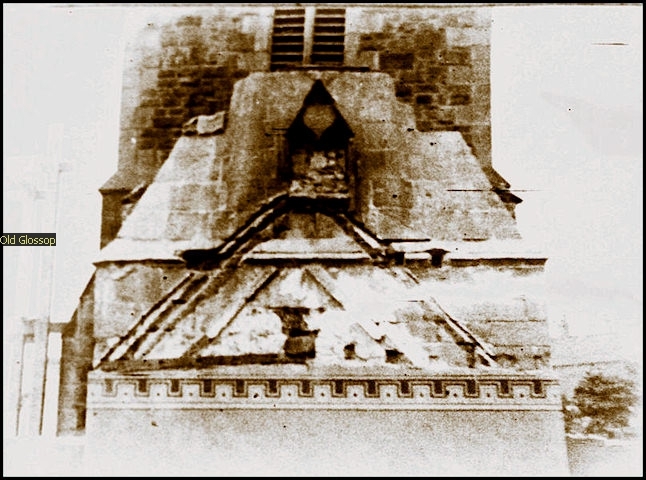 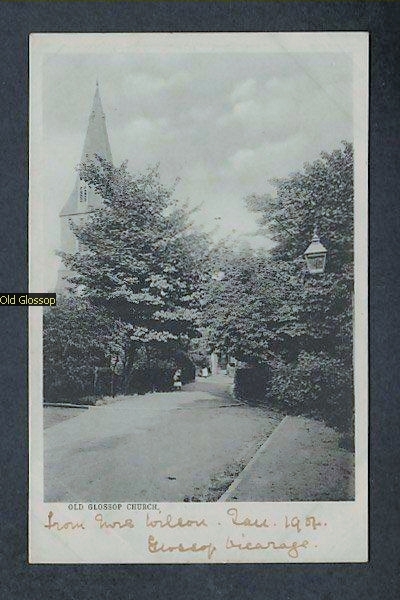 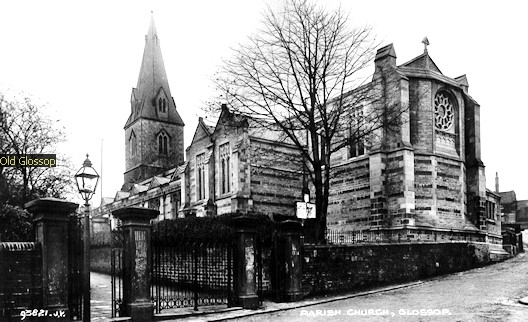 The chancel followed shortly afterwards but the original short tower and spire was kept for a further twenty-two years before it too was replaced. 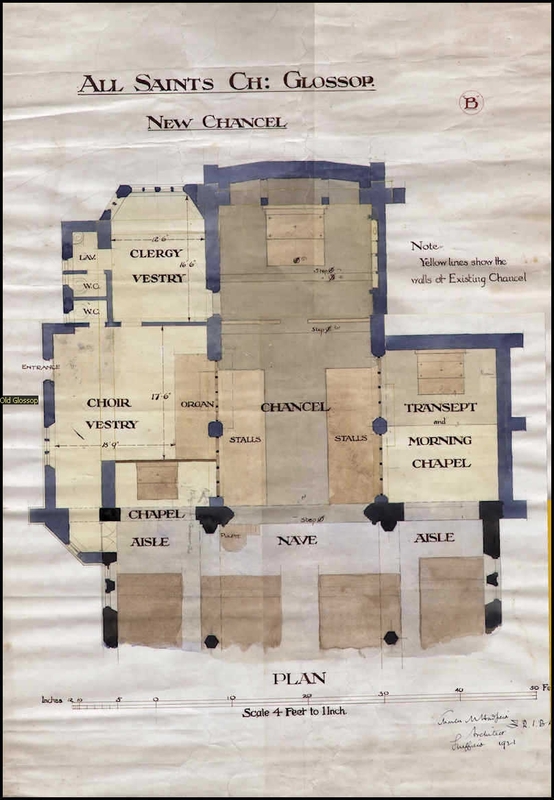 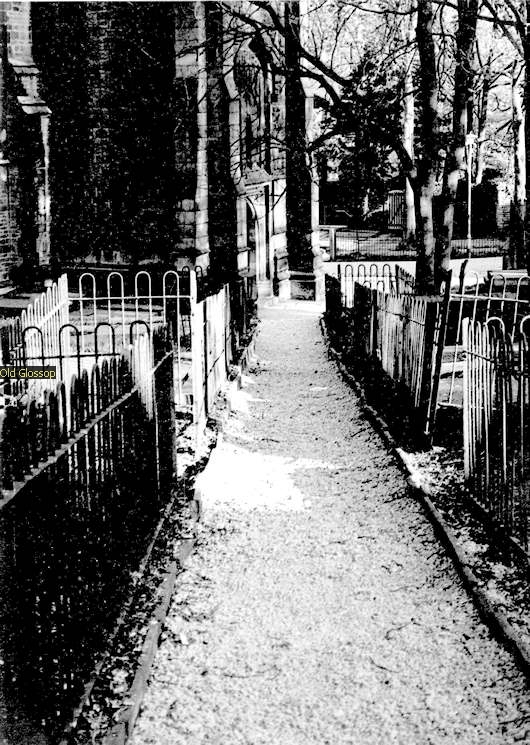 The nave of 1831 was a very poor building. 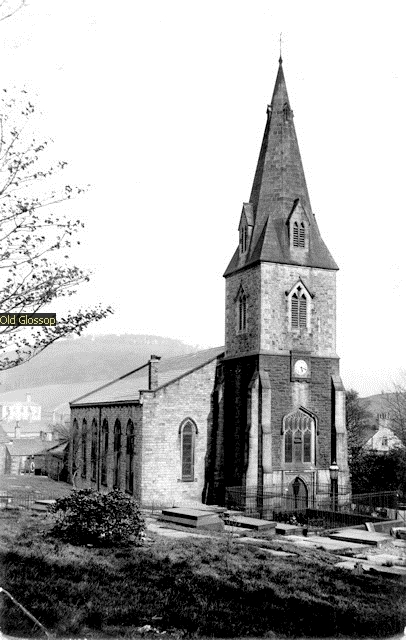 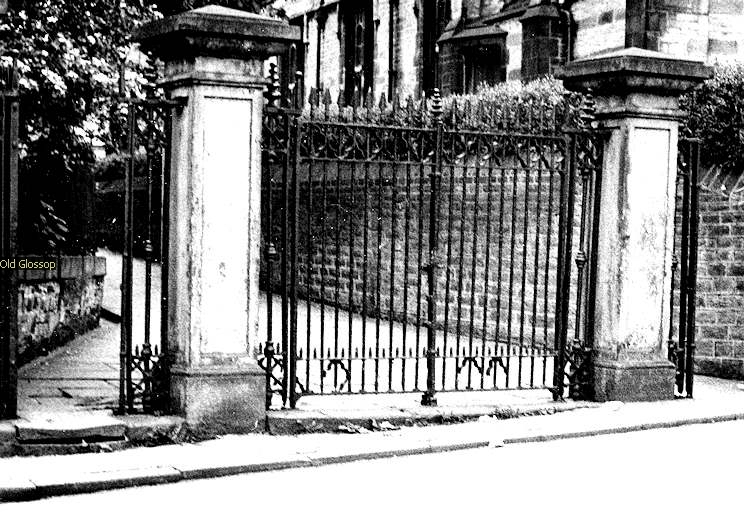 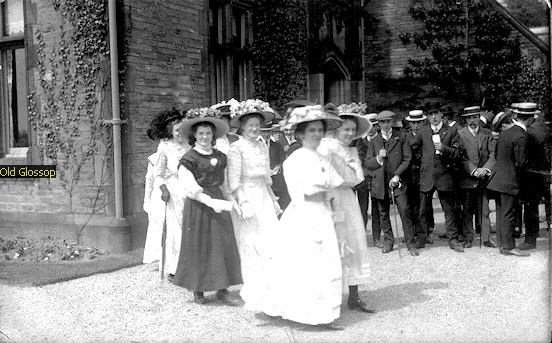 There was a move to replace it when the tower was rebuilt in 1854, and again in 1887 but money was not forthcoming and it waited until 1914 to be rebuilt. 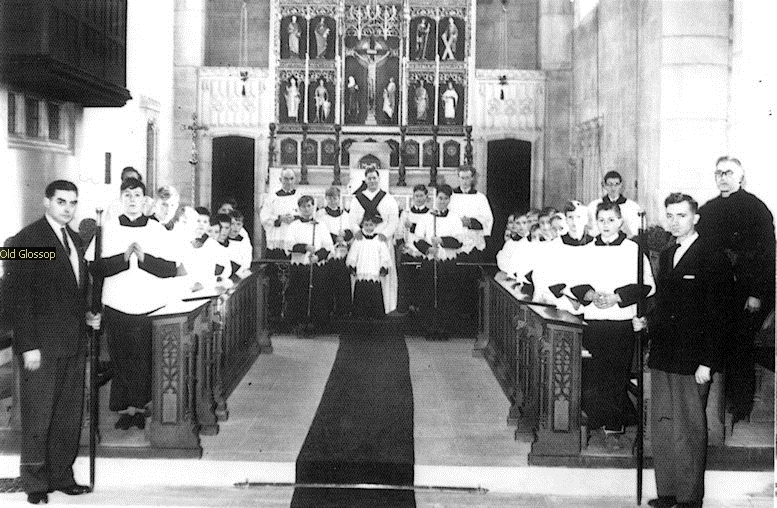 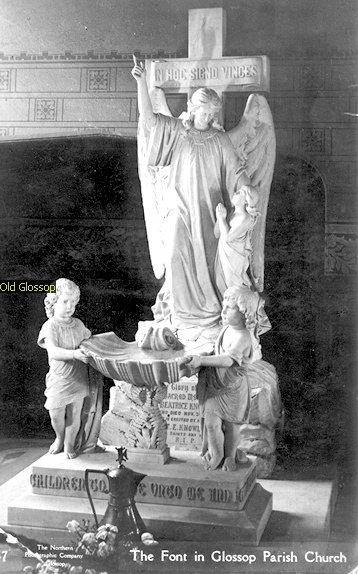 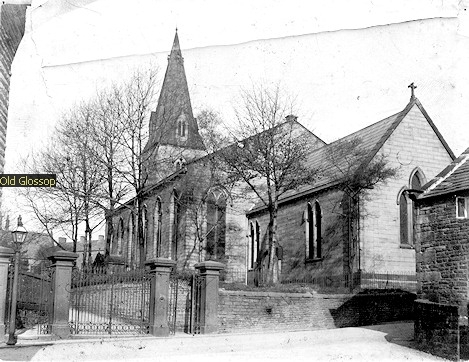 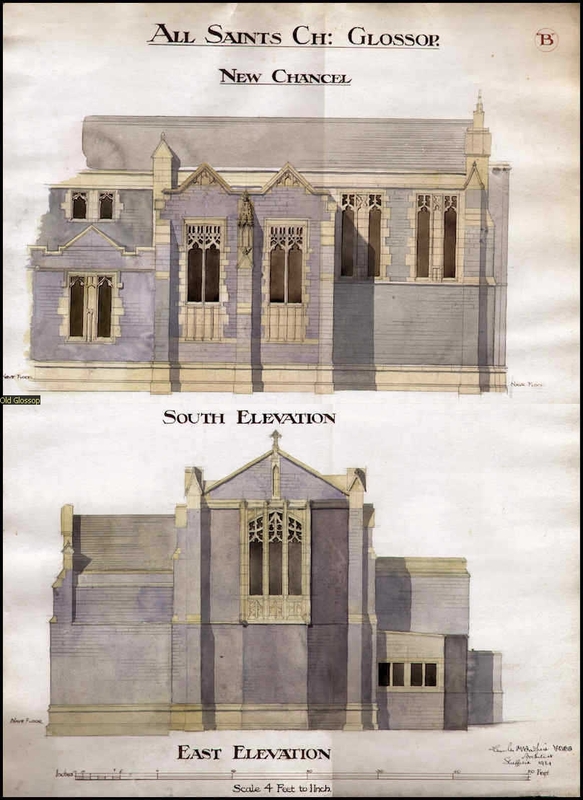 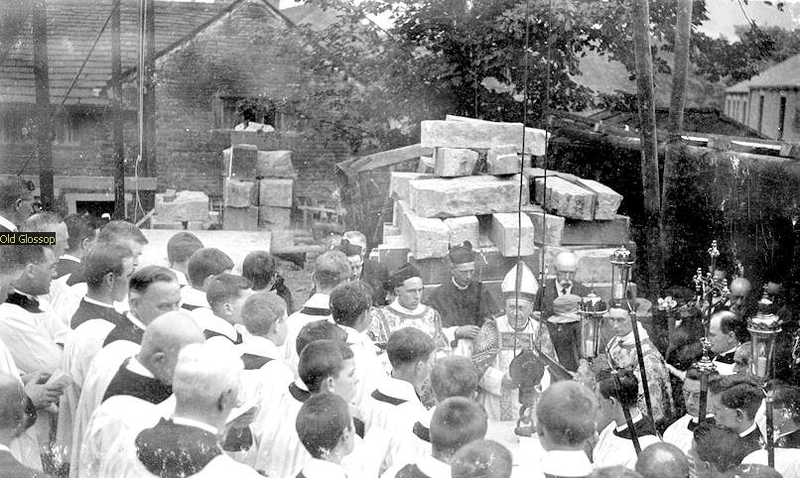 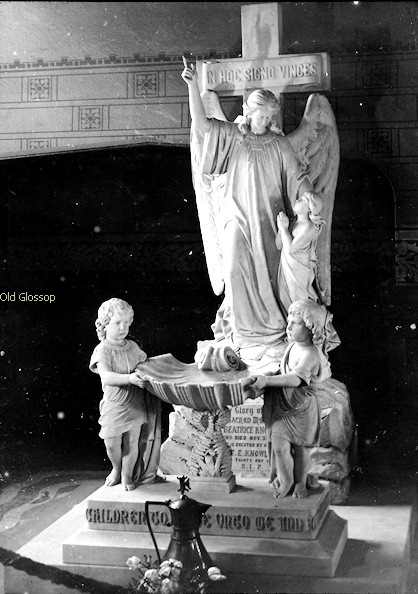 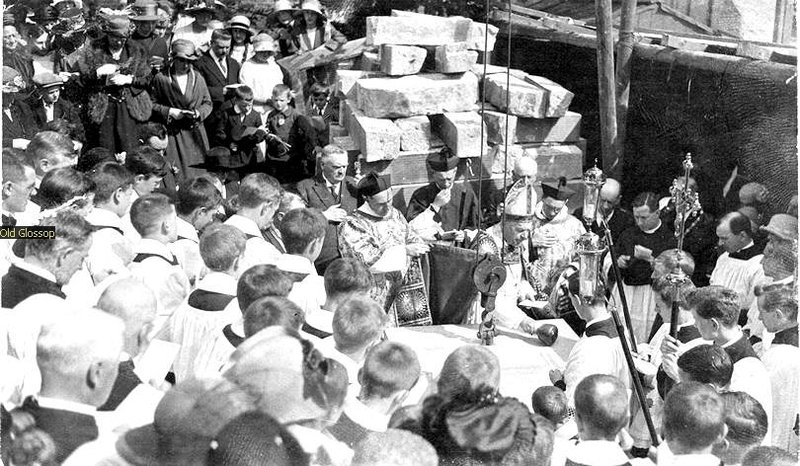 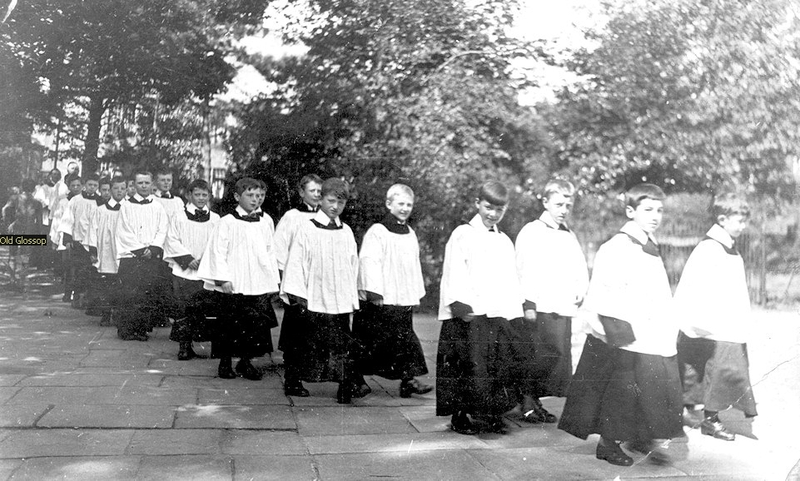 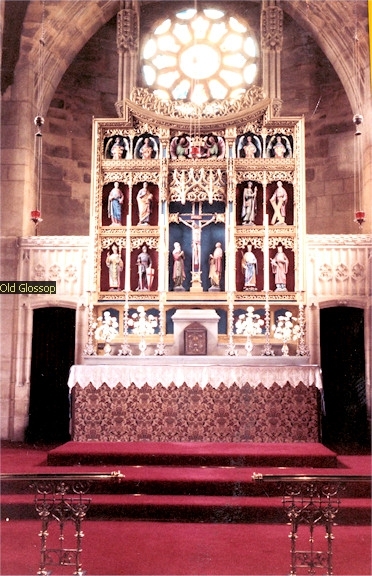 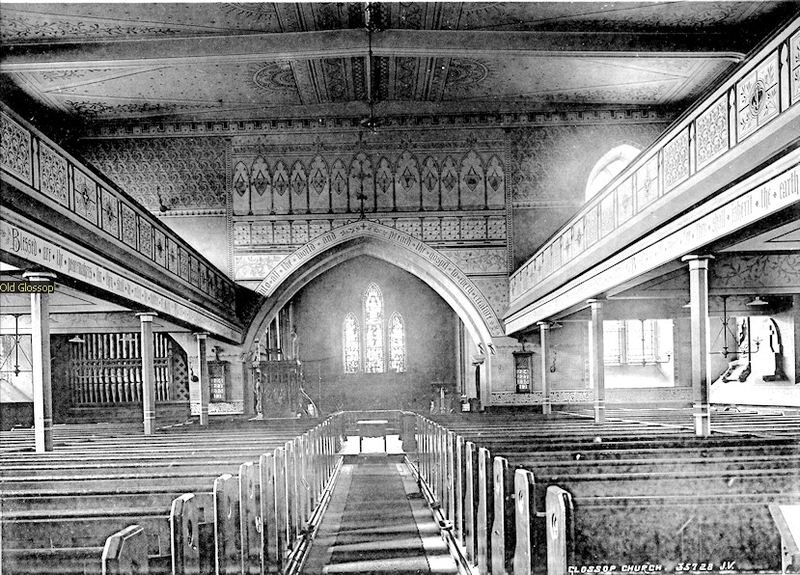 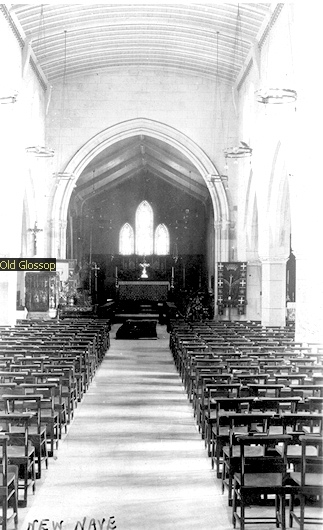 The chancel was rebuilt and extended to its present length in 1923. 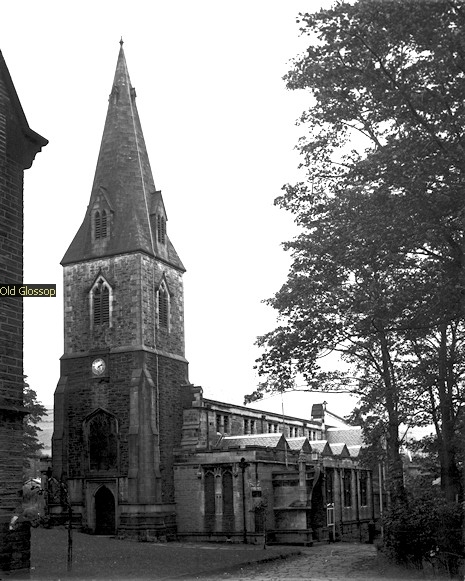 The parish registers date back to 1620. 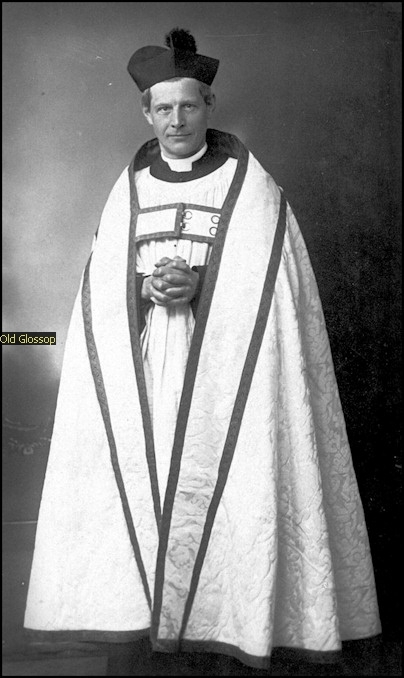 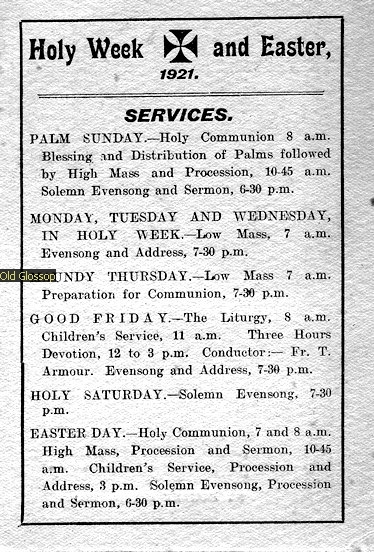 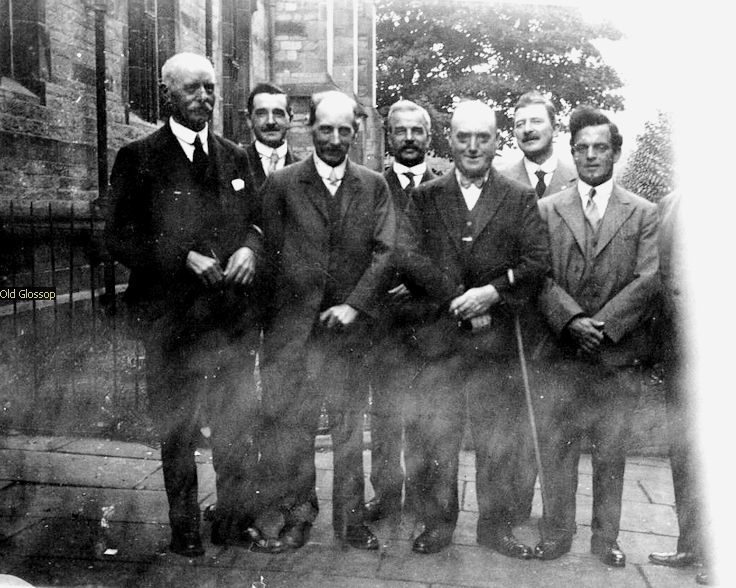 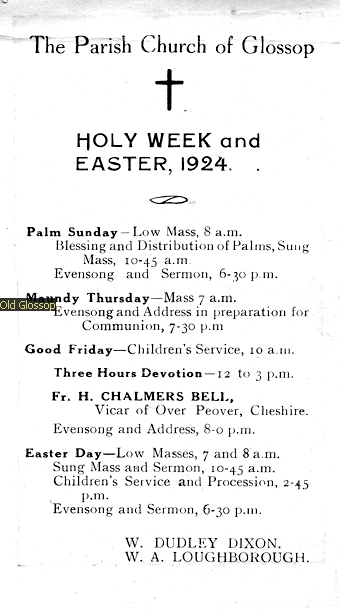 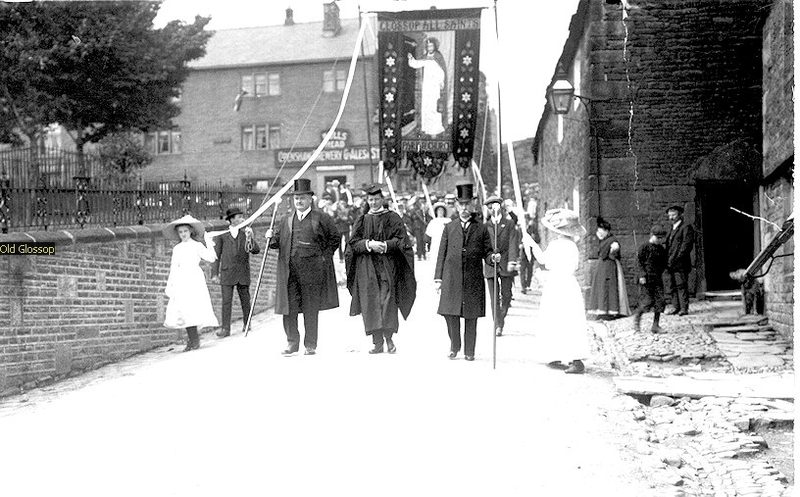 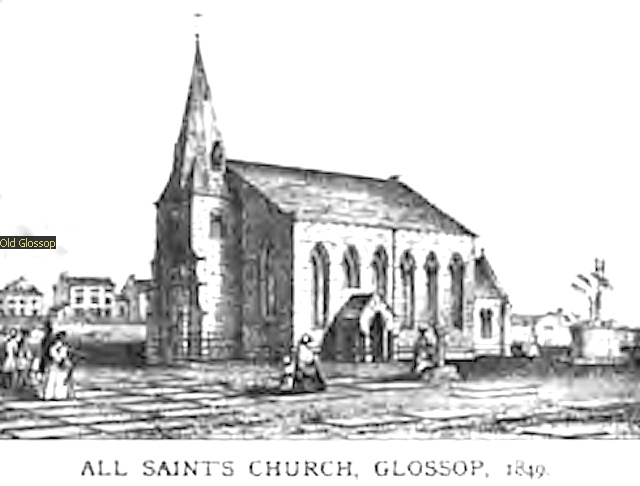 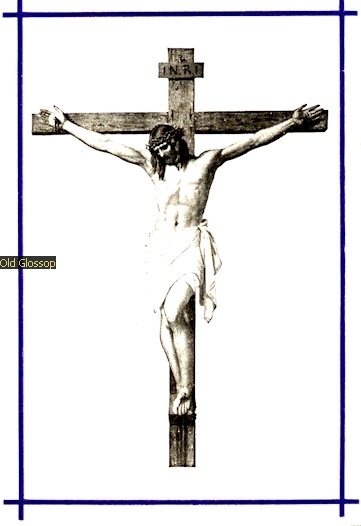 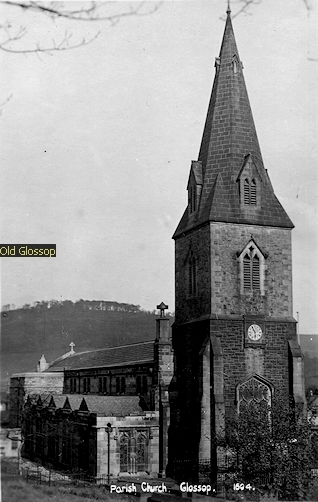 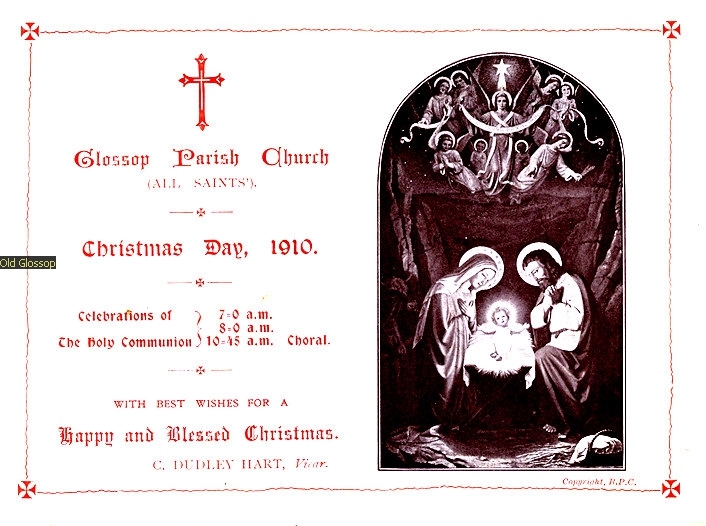 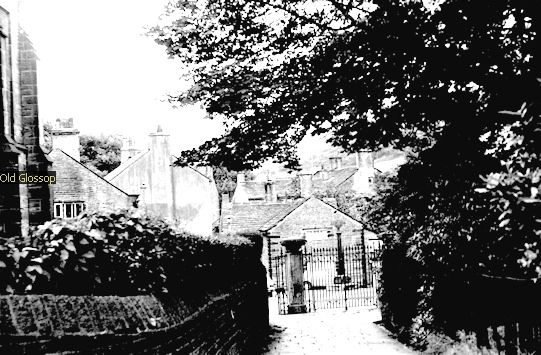 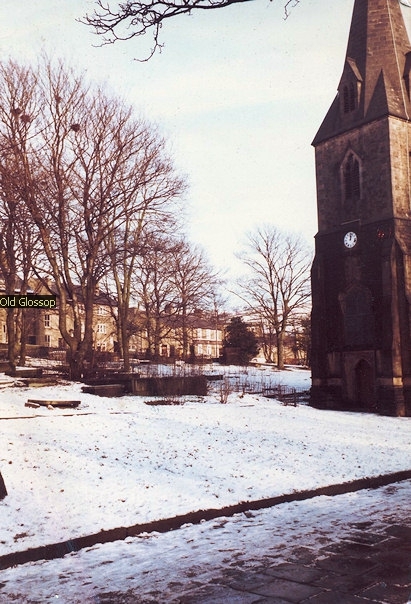 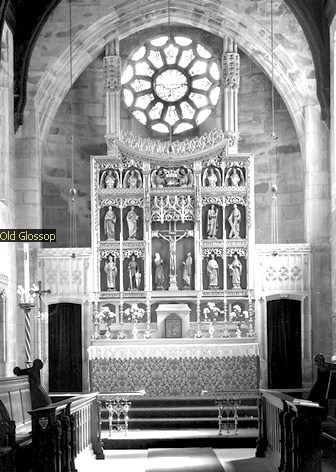 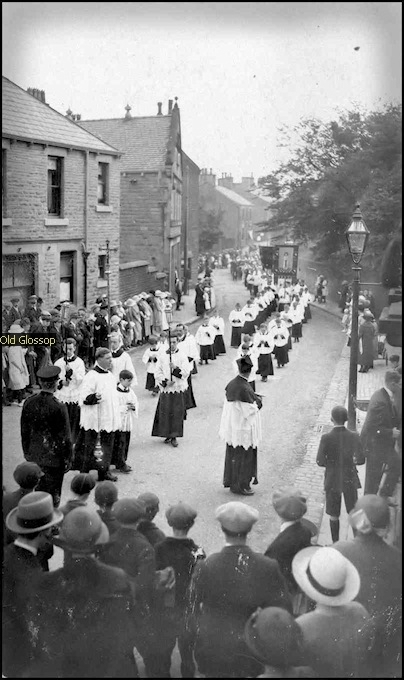 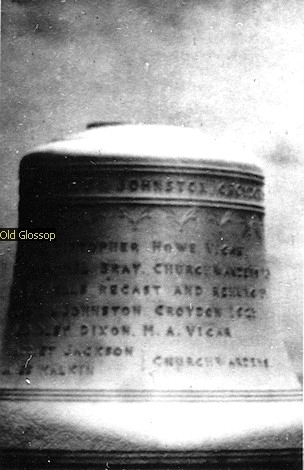 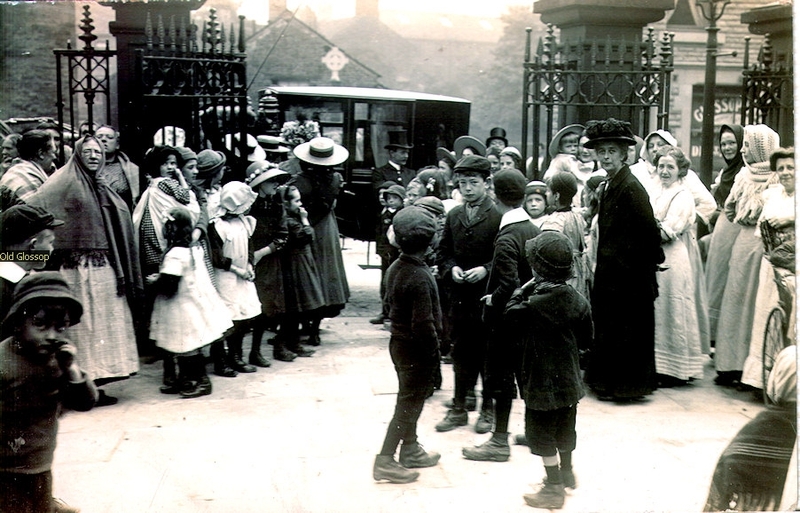 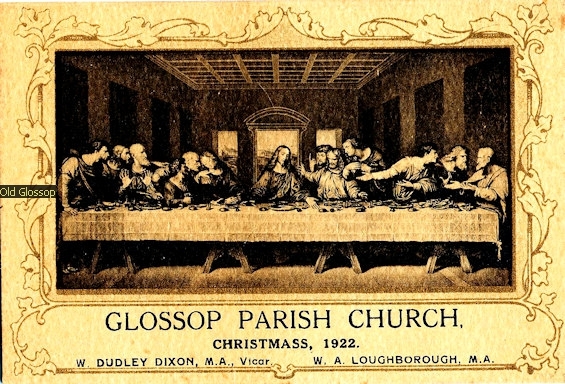 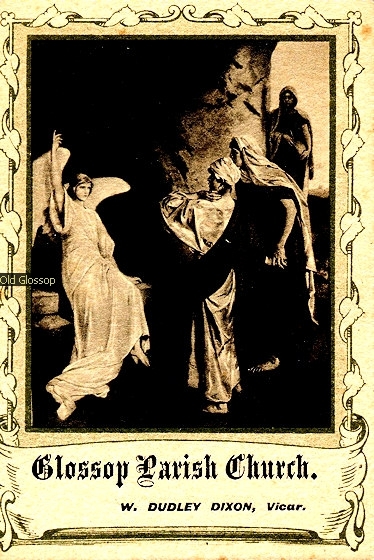 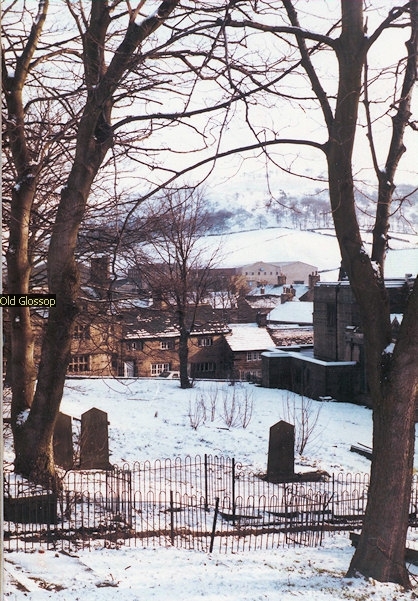 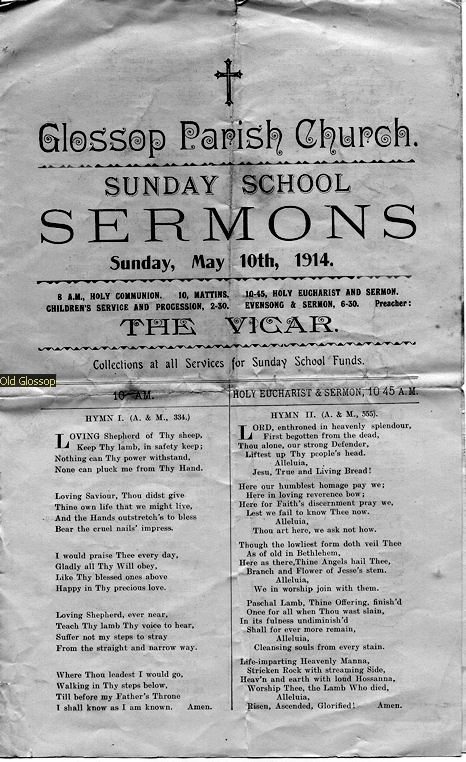 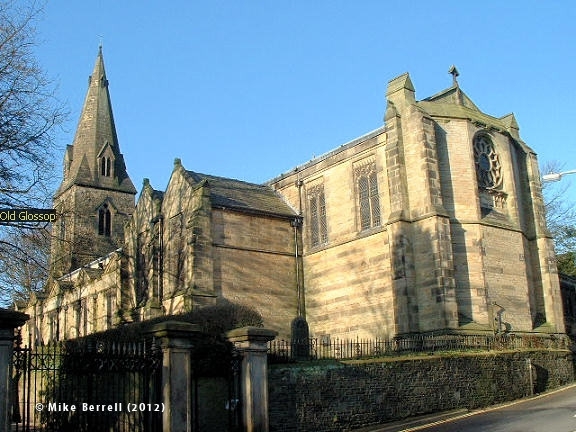 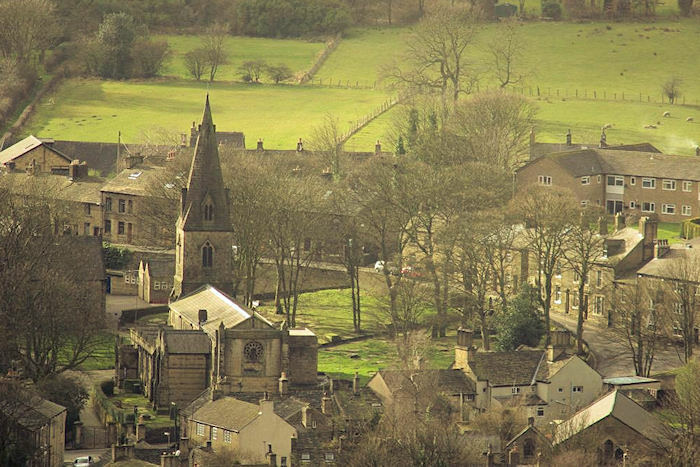 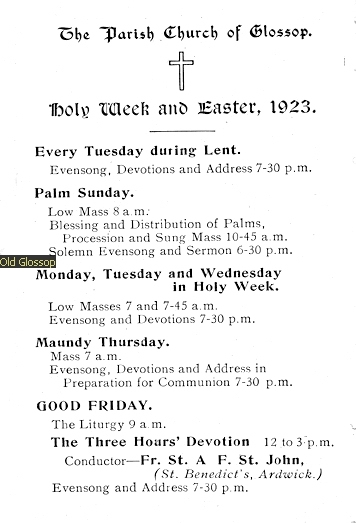 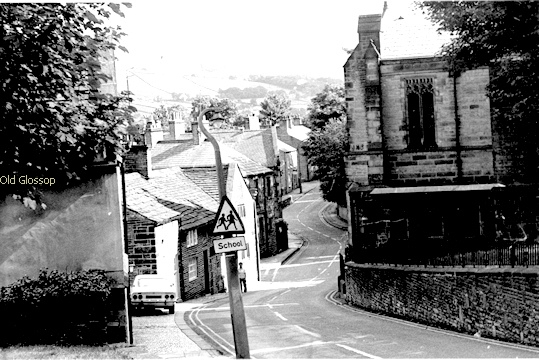 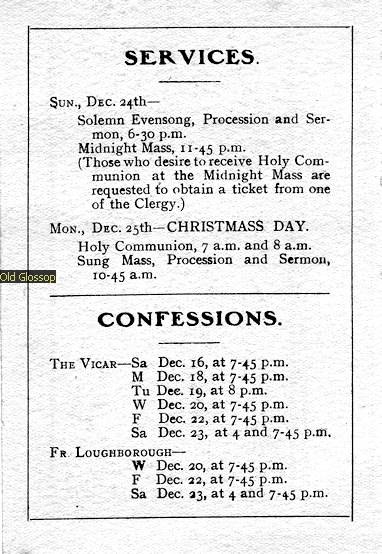 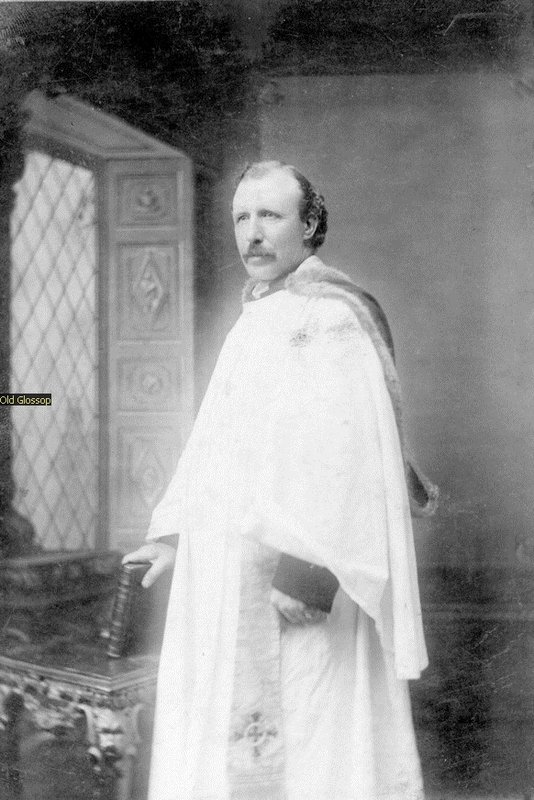 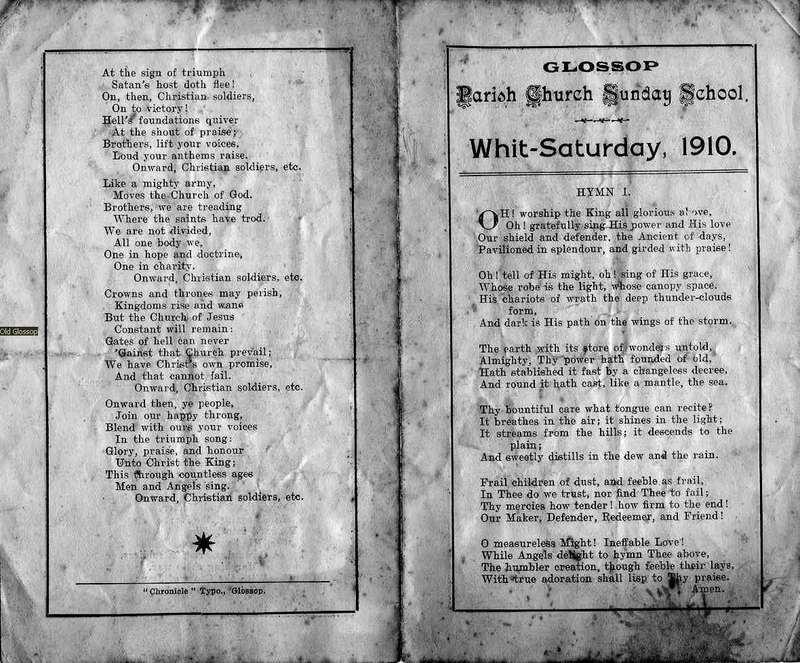 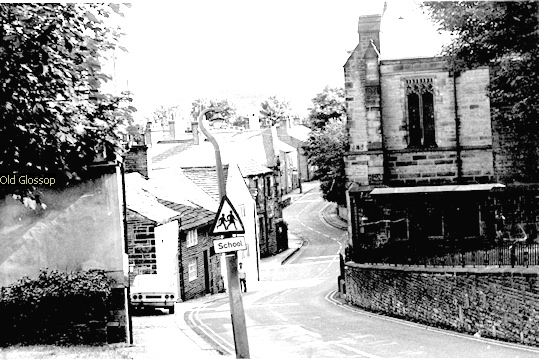 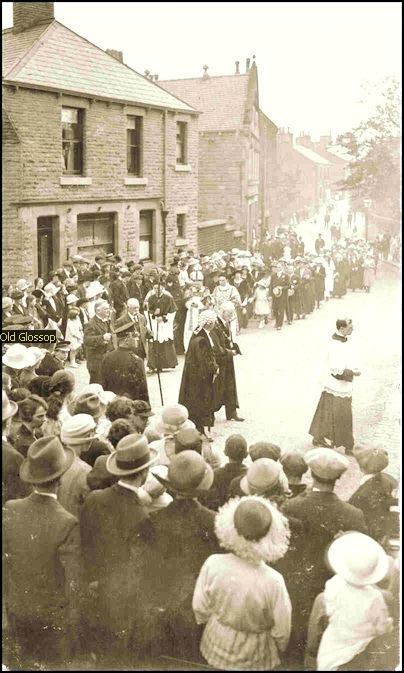 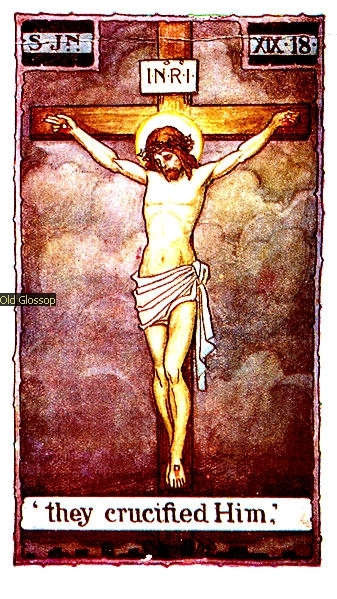 It is recorded that William Bagshaw, the ";Apostle of the Peak" was Vicar of Glossop. 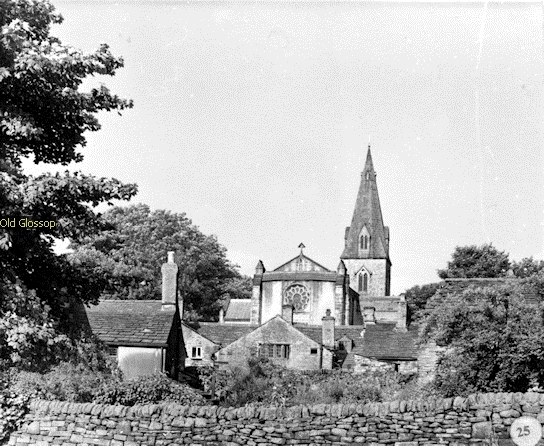 It is rumored that the original mediaeval church which was built after the Norman conquest was built on an ancient piece of holy ground. 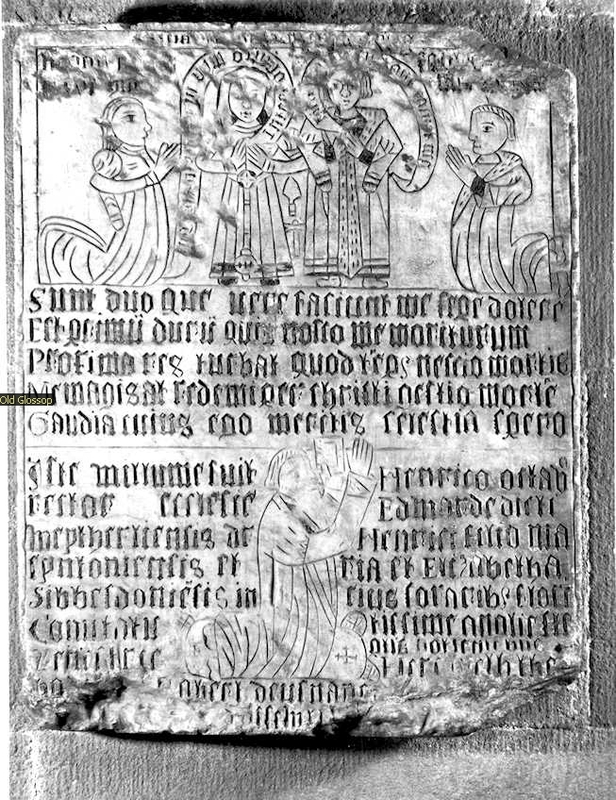 This of course was common practice by the early Christians who were trying to destroy by integration all traces of the "Old Religion". 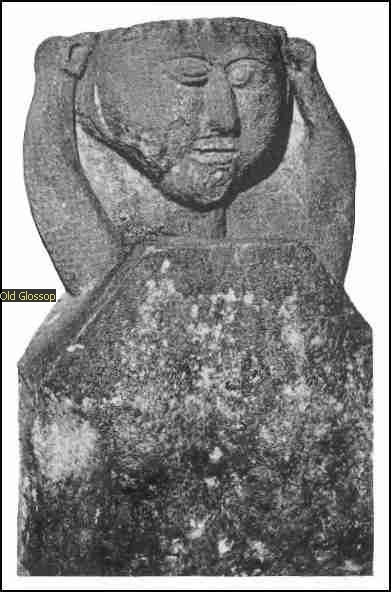 This head which is under protection of a householder in Old Glossop was found near Mossey Lea and other primitive carved stone heads where found in the Vicarage garden among stones that had been taken from the original Christian Mediaeval Church area. 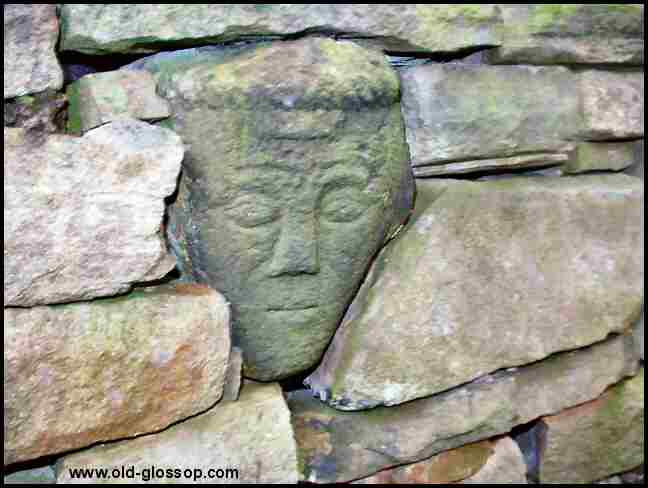 This is more proof that although the early Christians had taken in the new religion they did not really trust it enough to not include some of their ancient heads in the foundations as an appeasement to the "Old Religion".